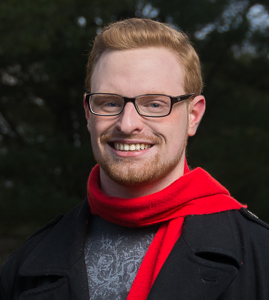 The Montclair Music Studio is proud to introduce Piano/Vocal Instructor, Kyle Hayes, Faculty Member Since 2018. Kyle is accepting students Mondays & Wednesdays. Living in Morganville, NJ, Kyle is currently in his third year of music education study at Montclair State University. He previously earned his A.A. Degree in Music from Brookdale Community College in 2016. We are proud to have him with us. My interest in music was facilitated by a number of inspirations, one of which was the liturgical music of mass in my church. When I was younger and less experienced, I would start to learn to harmonize with the music when I lacked the range to sing when I attended. As a child, I got a keyboard when I was 8. I got a guitar shortly after as well. My childhood friend bought me an Ocarina in middle school too! With regard to my parents, no. My musicality has surprised them as they had never held any interest. In fact, my grandmother said the only person she knew with any musicality in the family was her uncle, a man whom she recounted as being an excellent accordion player. My siblings have all, in some capacity, tried music in their past. My twin plays bass guitar and trombone, my sister loved musical theater and choir. My younger siblings were in band or choir during middle school. Middle school was one of the catalysts to my love of choral music and vocal singing specifically. I was involved in my Middle School’s “Royalaires”, a selective choir that would sing competitively outside of school. I continued that choral career under the same baton in an extracurricular choir, Voiceworks’ Pitch Black. I attended a private, all-boy’s Catholic High School which had a small choir of students that performed in events like masses in school and at special events. During these years, I was always active in musical theater performing in title roles of shows since 6th grade and into 12th. In my collegiate career, I’m involved in Montclair State’s University Singers and Vocal Accord. I’m currently an active brother of Phi Mu Alpha Sinfonia, a men’s music fraternity on Montclair State, a fraternity dedicated to the furthering of music in America. While I’m primarily a tenor singer, I’ve played a number of instruments including piano, guitar, trumpet, saxophone, clarinet, and trombone. I’ve played at a number of venues including Brookdale’s Performing Arts Center, the Middletown Performing Arts Center, Ocean County College’s The Jay and Linda Grunin Center for the Arts,The Count Basie Theater in Red Bank, The The Strand Theater in Lakewood, Princeton University’s Richardson Auditorium, The New Jersey Performing Arts Center in Newark, The Mayo Performing Arts Center in Morristown, and The State Theater New Jersey in New Brunswick. I love playing video games on my computer, creative writing, digital art, and musical theater.